Be a data protection hero. Watch this video series with MWD Advisors about the next phase of GDPR. Home » Insights & Innovations – GDPR Hero » Episode 3: How is the IT organisation best equipped to support GDPR compliance? Episode 3: How is the IT organisation best equipped to support GDPR compliance? 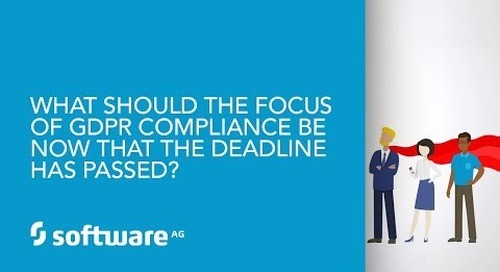 Episode 2: What should be the focus of GDPR compliance efforts now that the deadline has passed? Episode 4: What are the implications of privacy by design and privacy by default? Episode 1: How is GDPR different from previous data protection regulations? 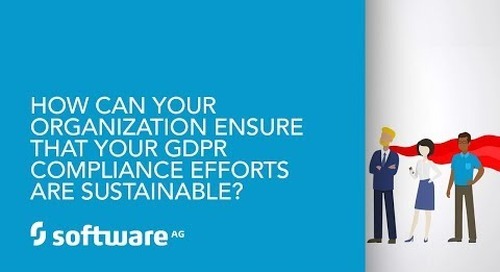 Episode 5: How can we ensure that our GDPR compliance efforts are sustainable? Episode 6: What benefits can a company derive from the GDPR requirements? Episode 7: What will GDPR bring to retailers? Episode 8: Will GDPR impact business initiatives in telecom? Episode 9: Manufacturing (incl. automotive): Is GDPR a threat for the “Make industry”? Episode 10: Will GDPR also affect oil & gas companies? Episode 11: Is GDPR an opportunity or threat for healthcare companies? Episode 12: How should transportation companies approach GDPR? Episode 13: Some recommendations how companies should approach GDPR compliance?